Baseball, perhaps more than any other sport, is good at providing memorable moment’s with its greatest stars. Ichiro Suzuki, the famed hit machine for the Seattle Mariners put a very fitting cap to his Hall-of-Fame career on Thursday. 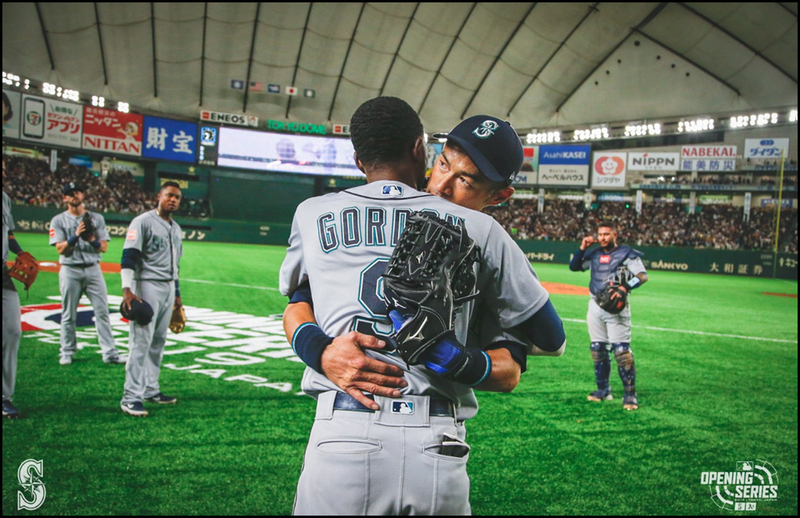 In front of a sold-out Tokyo Dome crowd in the MLB’s opening series in Japan between Seattle and Oakland, Ichiro left the field for the final time in the eighth inning. The rest of Mariners left the field beforehand, leaving Ichiro to make his exit alone. He made a curtain call for the Tokyo Dome crowd and tears were shed by both Suzuki and teammates as he waved to the nation where he began his baseball career. Click here for the full story. A ferry in Iraq capsized on the Tigris river near Mosul, resulting in the death of 72 people. Authorities say that most of the casualties on the ferry were women and children who could not swim. The ferry had been loaded to twice its capacity. Click here for the full story. The state if forecasting an extra $850 million of state revenue through July 2021, thanks to a strong economy in Washington. Democrats say because of this they will propose smaller tax increases, the nearly $5.1 billion in two-year revenues will not be enough to cover the cost of inflation, higher salaries, public schools, mental health, homelessness and opioid addiction. Click here for the full story. President Trump signed a bill today that requires agencies to outfit crews with GPS and drones to better scout out wildfires. The bill, sponsored by US Senator Maria Cantwell also assigns meteorologists from the the interagency Wildland Fire Air Quality Response Program to large wildfires to provide communities with smoke forecasts. Click here for the full story.